The aim for all businesses with a website is to rank highly on Google – preferably reaching the dizzying heights of page one! SEO, metadata and a well-designed website will help, but having a site that’s regularly updated is one of the key things to aim for. Websites that frequently publish fresh content are ranked higher, have greater opportunities to naturally increase keyword density and as a result, receive more traffic. Most people will have heard about the ‘Google Algorithm’. This is the name given to the set of parameters that Google analyses in a fraction of a second, to decide which content to present in response to a search query. This includes a number of factors that consider the content and credibility of your website, as well as its technical performance, such as the load speed and whether it’s mobile-friendly. As Google says above, the algorithm likes fresh content. Now, unless you are constantly publishing new product lines and descriptions, one of the best ways to add new content to your website is to get blogging. You’ll probably have heard about content marketing, but blogging is more than just promotion. A good blog will help you to tell the story of your business, let people know who you are, what you stand for AND what it would be like for them to do business with you. It will also help you to lead them to that all-important conversion; from visitor, to customer. You may think it’s difficult to find topics to blog about, but it’s actually not such a challenge, if you follow a few simple steps. Why should they buy from you, rather than your competitors? What are the common questions that your customers ask you? These three lists will form the beginning of your business blog’s content calendar. A content calendar is a very useful tool in keeping your website fresh. Planning what to write about and when to publish it is important. For example, seasonal content is the easiest to plan. If you manufacture and sell products, what are the key lines that are popular at Christmas, or in summer/winter? Check for key dates in your business plan, when are your peaks and troughs? Do you have anything coming up that would make a good story, such as a new team member, or product launch for example? You can also plan content around national awareness weeks or days, such as International Women’s Day, or specifically relevant dates for your business. There’s no reason why these blog posts can’t be refreshed and promoted each year. Remember that a good blog will be comprised of much more than just promotional material. Ideally, it’ll be a mixture of news, information and marketing. You should primarily use your business blog to let people know how good you are, at whatever it is your business does. It’s the perfect place to build your reputation as an expert in your field and become a useful resource of information and advice for existing and potential customers. Creating content that includes a combination of trending topics and evergreen posts is the best way forward. Publish blogposts that are time-sensitive, to demonstrate that you’re on top of trends and the most recent developments in your industry. Also create posts that are relevant when published and continue to be useful over time. These ‘evergreen’ posts will provide a back catalogue that you can reuse and refer to on an ongoing basis. Your blog will have the knock-on effect of providing material for you to post on Facebook, Twitter and other social media platforms. Strategic use of hashtags will align your post with other relevant posts and where appropriate, current trends. Once you have a good library of evergreen content, you can set up ongoing social media campaigns to promote it. That way, as new potential customers find you, they will have the opportunity to see these older, but still useful, posts too. Share posts via your personal accounts and encourage employees, colleagues and partners to do the same. Maximise your reach and create more opportunities for traffic. The reader’s attention span is short, but Google likes longer content, as it considers this to be more credible. Get the balance right, with blog posts that include the important stuff, without becoming too long to keep the reader’s interest. That said, you should always create written content with the reader in mind, rather than Google. That way, it will sound more natural and reflect your personality better. Use a few, good-quality photographs to accompany your posts. This gives you a variety of images to include with subsequent social media promotion too. Any content you publish must also be unique. That may sound obvious, but many businesses trip up by duplicating content on multiple pages. If you do this, it can lead to search engines penalising your website and lowering your ranking. One easy way to fall foul of this is to copy and paste product descriptions from manufacturers. If every supplier does that, how will Google choose which pages to present in search results? As a general rule, Google doesn’t like content that is copied, it considers it to be a bit dodgy and is therefore less likely to present it to people who are searching. Always rewrite this sort of standard information into your own words; that way you can be sure you have a unique description for everything you sell. Make lists of key points you want to cover – use these as the basis for the keywords you’ll need to include. Write naturally for your reader, or ideal customer. Ensure you only post original content and don’t duplicate it elsewhere. Use good quality images to support your posts. Before publishing ALWAYS check spelling and grammar. If you would prefer to hire a copywriter to create the content for your website, do your due diligence. Ask if they have a portfolio and request URLs of their currently published work. It’s easy to find very cheap content online but do beware. Your reputation is in someone else’s hand if you outsource, so always review thoroughly and request edits where necessary. 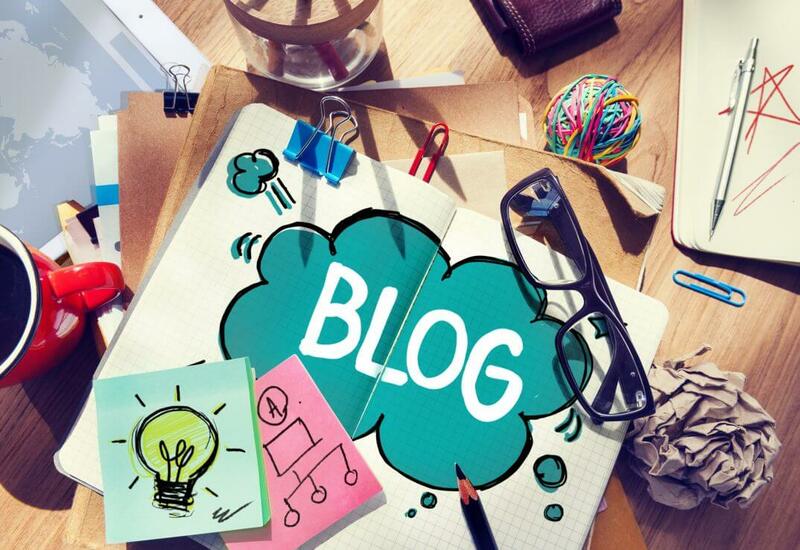 A business blog is something that can help you to grow your online footprint, increase engagement and drive traffic to your website. It’s also a place where poor prose, bad grammar and clumsy spelling can damage your bottom line. Make sure you get it right, whether you do it yourself, or outsource to someone else. If you would like to find out more about our blogging for business clinics at The Business Village, get in touch here.